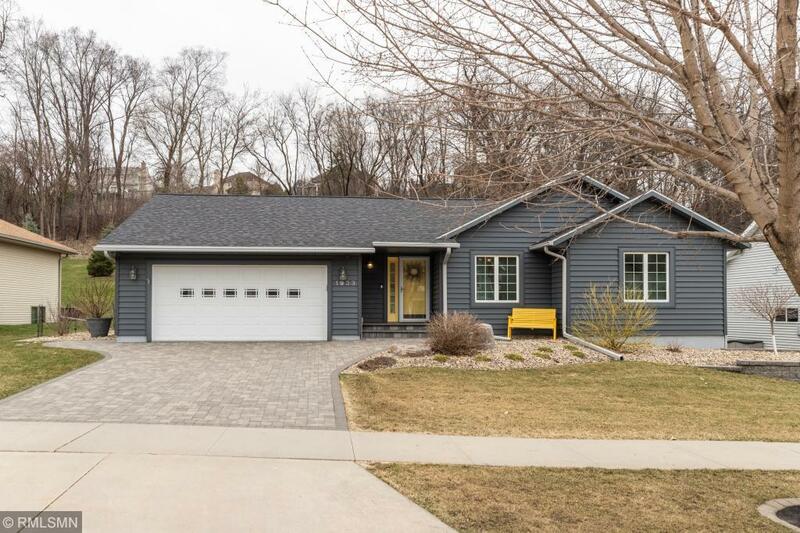 Stunning, one of a kind one story home set on a .43 acre lot with attractive new siding, new garage/screened door, new roof, and new addition. This oneâs a WOW. Completely updated 3 bedrooms, 3 baths with beautiful sunroom. The home has a new kitchen: SS appliances, flooring, sink, countertops, light fixtures and more. New bathrooms, gorgeous tiled floors, and shower. Open vaulted floor plan, perfect for entertaining indoors & out w/paver patio, in-ground sprinkler system & professional landscaped yard and driveway. Many recent improvements include new furnace/AC, water heater, water softener, washer and dryer, fresh paint, new flooring and garage poly flooring, new deck with beautiful retaining walls. Fantastic neighborhood walking distance to parks, dining, coffee, stores & more.